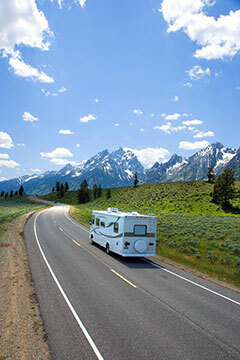 Since 1986, Southeast Publications has been a family owned marketing company and is the Industry Leader in providing Guest Guides, digital marketing & web design for RV Resorts and Campgrounds. With over 150 Bonded & Insured Sales Teams, Southeast Publications Associates span North America from Coast to Coast and have represented RV Resorts, KOA & Yogi Bear's Resorts, State Parks, County Parks, Regional Parks and even National Forests. The Southeast Publications Sales Associate Team is the most experienced and highest paid in the industry. Our Corporate Training is second to none and is dedicated to your success. The Southeast Publications Corporate Office is located in South Florida and operates a 20,000 sq. ft. office and production facility where all jobs are serviced and produced for all of our customers. 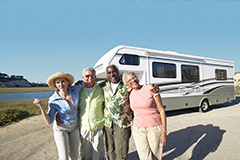 Our product and service is provided to Campgrounds and RV Resorts at no cost. This service includes, Guest Guide Design and Print, a web page on MobileRVing.com, a listing on MobileRVing 2.0 the Mobile App, Film Crews creating videos for partners, Marketing Guest Guides at Industry Tradeshows, Interview on a travel podcast, E-newsletter Marketing, Social Media Marketing and a Preferred Property Designation. To get started, there is a $150 deposit required to join the Southeast Publications Team which includes your Bonding ($100) for the first year and the Sales Manual for Success ($50). Our Sales Associates are Bonded & Insured under a $2 million umbrella policy. As part of our Southeast Publications Guarantee to provide annual supplies of Guest Guides to our establishments, you will receive a (2) two-week complimentary site for the purpose of selling advertising to the local community to appear in the Guest Guides. The Guest Guides are provided at no cost to the establishment and is fully paid for by advertising from local businesses in the community. As a Southeast Publications Sales Associate, you are required to commit to working a minimum of (8) eight jobs per year. Your commission is the highest paid at 65% of all net advertising sales. Join the largest family owned Guest Guide company in the industry. An excellent opportunity to earn an income while traveling. Dedicated Sales Management Team and Home Office Support. The highest commission and the lowest production cost in the industry. 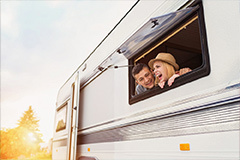 The ability to travel where you want with a complimentary (2) two week stay. In depth training for your success. Full Proof (Front & Back) for review by you and the establishment. A virtual back office to check commissions, AR payments and find available work. A sample and thank you letter sent to each individual advertiser. Thank You cards for you to send each individual advertiser. Establishments contacted every 90 days with a Good Will Call. Messaging service for you to receive follow up calls from advertisers and establishments to our 800 number. Southeast Publications business forms to work jobs and obtain additional establishments. Specialty gift items provided to the establishments with initial shipments. Honesty & Integrity, there are no hidden cost. Your completed job is to be sent to the home office within 72 hours of completion. After your job is received by the office, all accounts receivable and statements are mailed to your customers by the Customer Service Department. All cash receipts are posted to your advertiser's accounts on a daily basis. Vouchers are generated each Wednesday for the previous week's receipts. Direct deposit of your commissions is then generated within 48 hours of the weekly voucher run. All commission payments earned will be direct deposited to your designated bank account only. Work a minimum of (8) eight jobs per year. Complete the Southeast Publications Training program. Must own a computer/laptop and have access to the internet. The freedom to travel at least (6) months per year. A solid work ethic, a positive and enthusiastic attitude, professional and team player. Once again, thank you for your interest in Southeast Publications and we look forward to you joining our team. Southeast Publications is a Featured Employer with Workamper News, Inc. All photos and text on this page are property of Southeast Publications and may not be used without their consent.